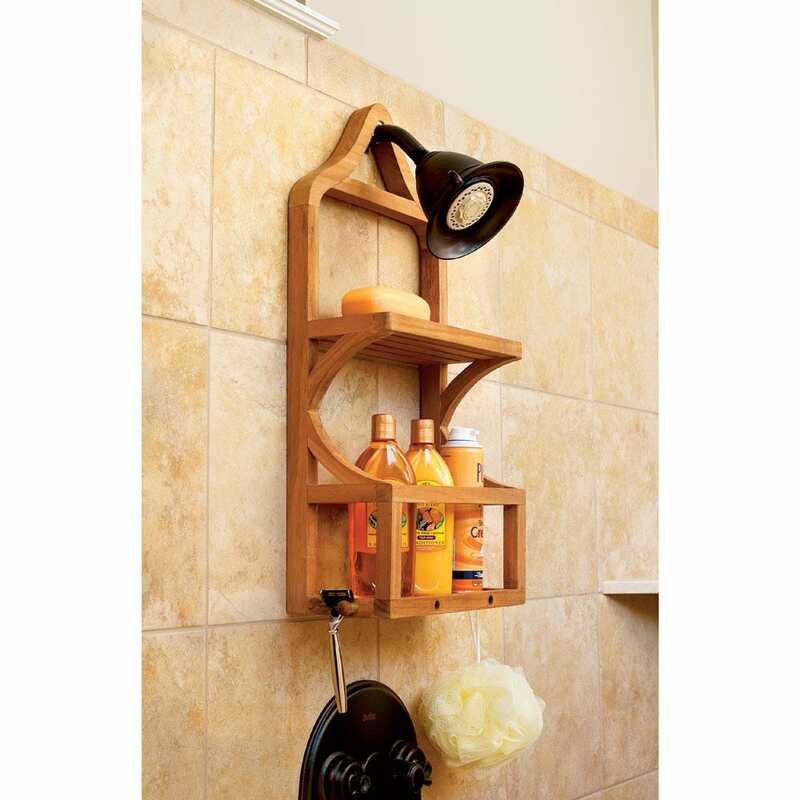 Two-shelf organizer manages shampoo, conditioner, shaving cream and other spa essentials. Hooks hold razor and shower brush; removable slatted tray keeps the bar soap contained. Measures 11 inches by 5 inches—23 inches high.